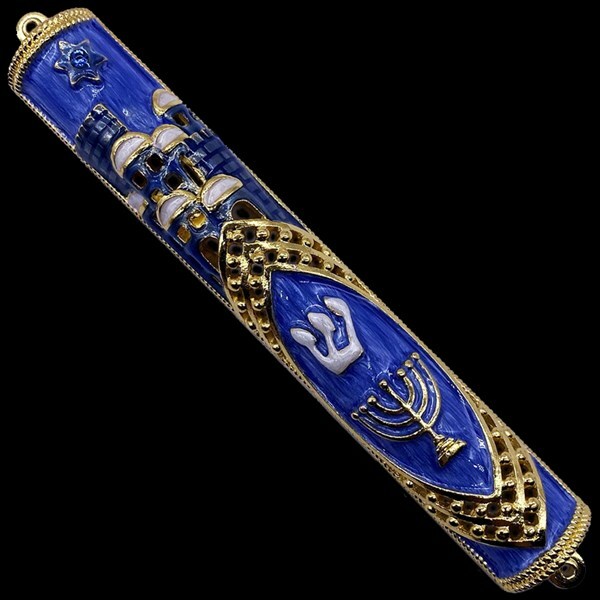 Enameled metal mezuzah case with clear jewel accents. Back is attached to case with screws. Blue gift box. Perforated. Please note this does NOT include a scroll!